Poor economic performance and low-quality education are keeping Kosovo’s unemployment rate exceptionally high. Helvetas supports citizens and businesses in the south and southeast of the country in bringing new knowledge and skills to the market. The project is funded by donations. 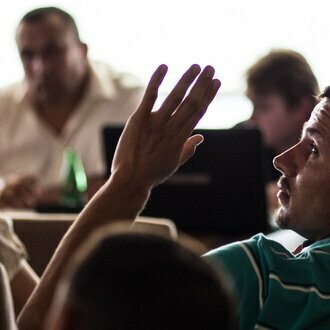 Vocational education in Kosovo doesn’t cater to the needs of the business. Curricula are often outdated and students hardly get any practical on-the-job training. Businesses, on the other hand, are struggling to expand due to the lack of investments, limited human resources and the difficult economic situation. As a result, every third Kosovar and almost 60% of young Kosovars are unemployed. Minorities are affected more than others: the unemployment rate is higher for Serbs, Roma, Ashkali and Egyptians. Less than 20% of women participate in the labor force at all, even as officially unemployed. S4RE project aims to reduce poverty in rural areas of the Sharr Mountains and the southeast of Kosovo through skills development to increase the employability of the most vulnerable. Egzona Maliqi (20), who was employed as a tailor after completing a training supported by the S4RE project in Berivojce, Kamenica. To equip young women and men for jobs, S4RE has been promoting practical on-the-job training. 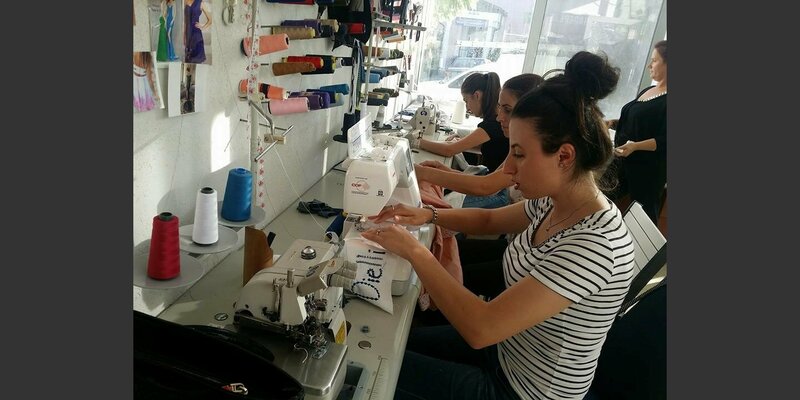 For example, in Kamenica, the south-eastern region of Kosovo, groups of unemployed youth were taught such skills as tailoring, IT, central heating installation, fruit cultivation, food processing, chicken farming etc. In addition to learning a trade, the participants analyze their opportunities and find solutions that bring employment and income. That is why we started calling our method an "opportunity group approach" instead of just a "learning group approach". The businesses that provide on-the-job training hire some of the apprentices. Having seen the positive impact of the in-house informal training on business performance, some of the companies are now willing to take it forward at their own expense. Other youth manage to combine resources and start their own small businesses. Egzon Imeri (19), the leader of a youth group who were trained in raspberry cultivation with the project support and started a small raspberry farm in Blaq, Dragash. Local institutions such as employment agencies and youth councils have also expressed interest in taking the project’s training method forward to provide more sustainable assistance to young job seekers. S4RE supports their efforts to adapt the project’s methods to the institutional setting. The project also promotes the integration of small local producers into supply chains for higher productivity, quality and income. S4RE focuses on four agricultural value chains: non-timber forest products, berries & fruit, dairy livestock and honey, and on two non-agricultural ones: textile & handicrafts and services. For example, the dairy company Malësia was able to diversify and expand its business by launching new products such as cheddar cheese and cheesecake. Hit Flores, a company that specializes in selling plants and other non-timber products from the Sharr Mountains, trained its staff to identify, classify, clean, process and package wild mushrooms, which helped it increase the quality and eventually sales of this product line. Helvetas strives to improve job prospects for high school and college graduates in Kosovo and to promote political dialog.